"What we're saying is that the hybrid isn't good enough anymore"
They bought hybrids with the promise of driving solo in the Carpool lanes. Now, 85,000 hybrid owners in California may have to switch lanes and drive with the rest of us. As of Jan. 1, 2011, those yellow HOV stickers are set to expire. According to the LA Times, there are several proposals to extend the deadline, but they would exclude most of the vehicles that originally qualified for the program. Cars like the Toyota Prius, the Honda Insight and Civic hybrid would be out. Instead, lawmakers like Assemblyman Ted Lieu (D-Torrance) want to offer new stickers to vehicles powered by electricity, natural gas, alternative fuels, or cars that reach at least 65 mpg. "What we're saying is that the hybrid isn't good enough anymore," Adam Keigwin, chief of staff for Sen. Leland Yee (D-San Francisco), told the Times. In 2004, lawmakers wanted to encourage drivers to purchase vehicles that delivered better fuel economy and produced lower emissions. As an incentive, they created the carpool lane exemption. 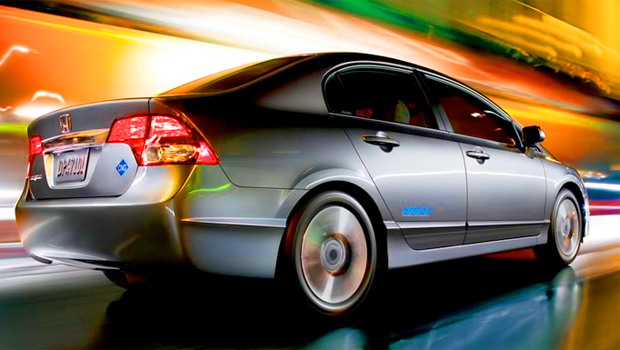 Hybrids which achieved a combined city-highway mileage of 45 miles per gallon or better were eligible. In February 2007, the last of the 85,000 stickers were given out. California risks losing federal highway funding as its carpool lanes become increasingly jammed. Putting thousands of driver-only hybrids back into the regular freeway lanes could relieve some of the congestion. Some hybrid owners say the law has achieved the authors' intent. Will Kepper, a 2001 Prius owner, told the Times, "I live in Santa Monica and you can't swing a dead cat here without hitting a Prius, so the bill served its purpose."